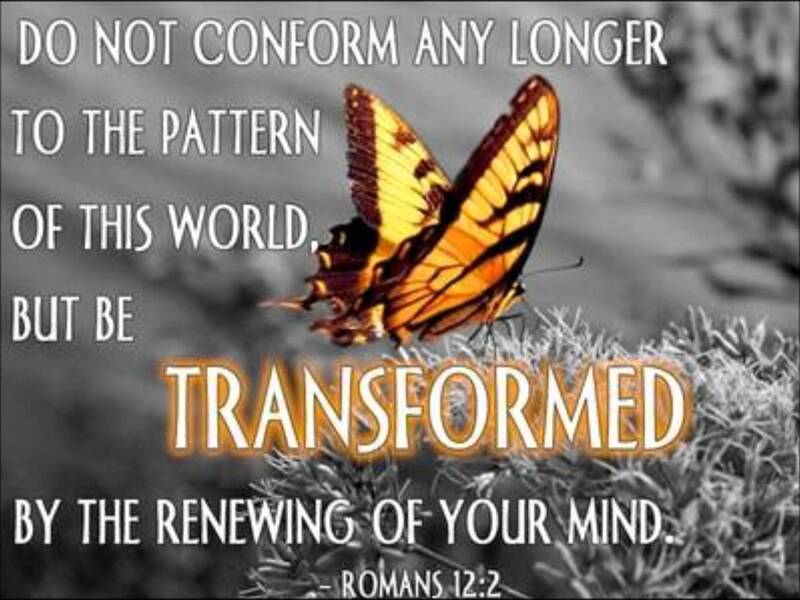 Paul tells us that true Christians, those who are “born again” are given a new nature: “Therefore if any man be in Christ, he is a new creature: old things are passed away; behold, all things are become new” (2 Corinthians 5:17). That means our old nature has been done away with: “I am crucified with Christ: nevertheless I live; yet not I, but Christ liveth in me: and the life which I now live in the flesh I live by the faith of the Son of God, who loved me, and gave himself for me” (Galatians 2:20). When we are truly “born again,” we are given a new nature so that we have the ability not to sin, but that ability comes from the indwelling power of the Holy Spirit (“Christ liveth in me”). We have the power not to sin, yet we keep our sinful flesh that retains that bent toward sin. Paul expresses his dilemma this way: “O wretched man that I am! who shall deliver me from the body of this death? I thank God through Jesus Christ our Lord. So then with the mind I myself serve the law of God; but with the flesh the law of sin” (Romans 7:24-25). For the Christian, both natures exist within the individual. Someone who claims to be a Christian and continues in “habitual” sin without remorse has not truly been regenerated, i.e., born again. An authentic Christian instantly recognizes when he sins (because the Holy Spirit within him makes him aware) and immediately turns to God for forgiveness, and “If we confess our sins, he is faithful and just to forgive us our sins, and to cleanse us from all unrighteousness” (1 John 1:9). Good clarifications, Ernie. A classic example of a carnal believer is Abraham’s nephew Lot, whom Peter called “just”, “righteous”, and “righteous” — in 2nd Peter 2:7-8 — yet we all know what a spiritual loser Lot was, compared to Abraham. Lot was a foolish,worldly believer, whose spiritual life was dominated by frustration — he was habitually “vexed”. Contrastingly, his uncle Abraham was a “friend of God” (James 2:23; 2nd Chronicles 20:7). What constitutes habitual? Everyday? Every other day? once a week? Once a month? Or are you saying, you are still considered “truly born again” if you dont sin the same sin everyday? Who determines what is habitual? I dont know about you but I sin everyday, many times a day in thought, word, deed, attitude……and the more I read the scriptures and see the character and nature of God through Christ Jesus, I am made more and more aware of how far I fall from His great glory….how sinful I really am and how amazing His grace really is. How do you reconcile verse 6 that says Whosoever abideth in him sinneth not: whosoever sinneth hath not seen him, neither known him. Because 1 John 1:8 If we say that we have no sin, we deceive ourselves, and the truth is not in us. What are the “qualifying words” to denote the “present tense” of poiei? And “in other words” are your words to support your interpretation, not God’s. In the Greek, when the “present tense” is intended it can be understood in a several ways. The habitual present can be one but the habitual present refers to events which occur over and over again……repetitively. If this is the point John is making, then he is saying…as you put it, “true believers” do not sin repetitively, but true believers do sin repetitively and that is why all Paul’s letters (to whom are to believers) all exhort the believer to grow up because maturity comes from fellowship with Christ through the word as John is clearly conveying in 1 John. I have been in Christ for many years, but I did not abide in the Word until I was over 20 years in the Lord. I missed out on a lot of joy, understanding and maturity by not abiding in the Word, but it did not mean I was not a child. My position in Christ is not validated upon how well I am or am not doing. My position in Christ is about Christ’s performance, Christ’s sacrifice, Christ being well pleasing to God. If my sinfulness can change my position, then Christ died in vain. Part of being a child of God and growing in the grace and knowledge of our Lord and Savior Jesus is falling and failing like children do. Some of us learn early and fall less and fail less than we use to, but we still have not arrived. We still miss the mark of God’s perfection in Jesus Christ. It is very upsetting to me when Christians who view themselves as “mature” question other professing Christian’s salvation because they are immature or not at the level of apprehension they are and still do things, say things, watch things, read things, listen to things they would never do. Are you really growing in GRACE and KNOWLEDGE of our Lord and Savior? It seems to me that the more we know Christ the more we would realize how far we fall from His glory…not just because He is perfect, but because we DO know more, we DO apprehend more, we are MORE mature and yet we STILL sin. It would seem to me that the more mature we view ourselves the more grace that would abound for others. The very fact the word of God has to tell us to not have fellowship with the unfruitful works of darkness is indicative that the temptation exists. Treading around in the devil’s domain does not mean we are not saved, it means we are neglecting fellowship with God and that danger leads to not thinking on things above, not setting our affections on God, not mortifying the flesh, not putting off passions that distract us from God but it does not mean we are not saved. The habitual sin view is also ruled out by the context. In verse 5 John said that there is no sin in Christ. He clearly meant that there is absolutely no sin in Him. Then in the very next sentence he said that those who abide in Christ do not sin. He could hardly have meant that Christ sins not at all and those who abide in Him sin but not a lot. John’s point is clearly that sin is never an expression of abiding in Christ. Yes. It is a paradox isn’t it? Thank you for your comment.